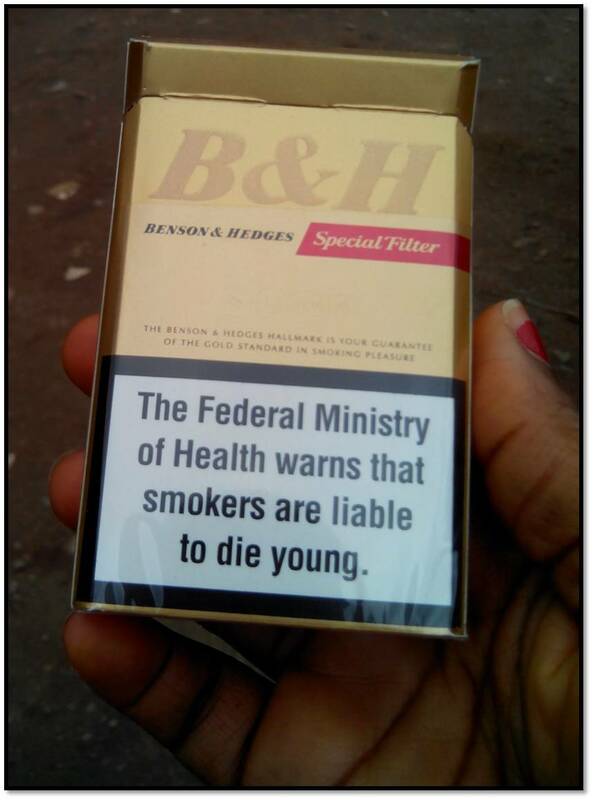 Have you tried holding a pack of Benson and Hedges in your hands? I still remember visiting the mallam’s kiosk to inquire about the price of cigarettes and I was able to get an empty pack from him. Holding the pack almost made me feel like I had just won a trophy. The pack is plated in gold and the edges are perfectly folded. When you lift the partially detachable lid along the slant divide by the sides, the word that best describes what you sight is - Flawless. I can say that what I held in my hand was designed to be comely and attractive. An addictive product packaged attractively and with comeliness will win the heart and mind of its users and effortlessly record new converts. Without a doubt, no responsible and concerned Nigerian citizen would want to have a product proven to be the world’s leading cause of preventable death to be so gracefully packaged and presented to the general public but sadly, that is what is currently obtained in our country. 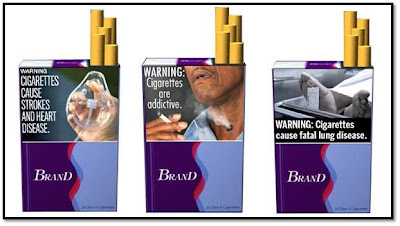 The Advertising Practitioners Council of Nigeria (APCON) went a step further in August 2011 when it banned the advertising or promotion of tobacco products on television and restricted advertisement in print, billboards and on radio. Although the move was opposed in some quarters which led the council to extend the deadline for enforcing the ban from January 1, 2001 to January 1, 2004, the ban is largely in effect across the country today. I guess the APCON ban explains why the jingle "Siga Target o, na wa, siga target o na super" ceased on radio and why Golden Tones concerts have long stopped paying the bills in Nigeria’s showbiz industry. It will interest you to know that the African continent has been recording increase in smoking rate (4.7% annually) while other parts of the world such as North America and Western Europe are seeing notable decrease in smoking prevalence. This shows we need to institute stronger measures that will produce the much desired results of 0% increase in new adopters and decline in number of people who smoke. We believe these desires and even more can be met through enactment and enforcement of the new proposed National Tobacco Control Bill that requires among other provisions that all cigarette packs bear clear health warning messages and/or labels covering 50% of the pack’s display area (The health warning on packs at present only coversapproximately 30% of the front and 40% of the back). In addition, the new law will also empower the Minister of Health to prescribe that these warnings should be in form of pictures or pictograms. Based on this, cigarette packs might be looking like any of the pictures below. Now, how many people do you think you will be enticed into buying this product with their money? You can join our campaign to ensure a smoke-free Nigeria by signing up as a Tobacco Control Cause Champion. Simply send your 1) Name, 2) Email address, 3) Telephone No and 4) Location to info(at)socialresponsibilitymanagers.org. Signing up will get you a chance to have a specially designed Facebook, Twitter and G+ profile banner graced with Stella Damasus' picture.